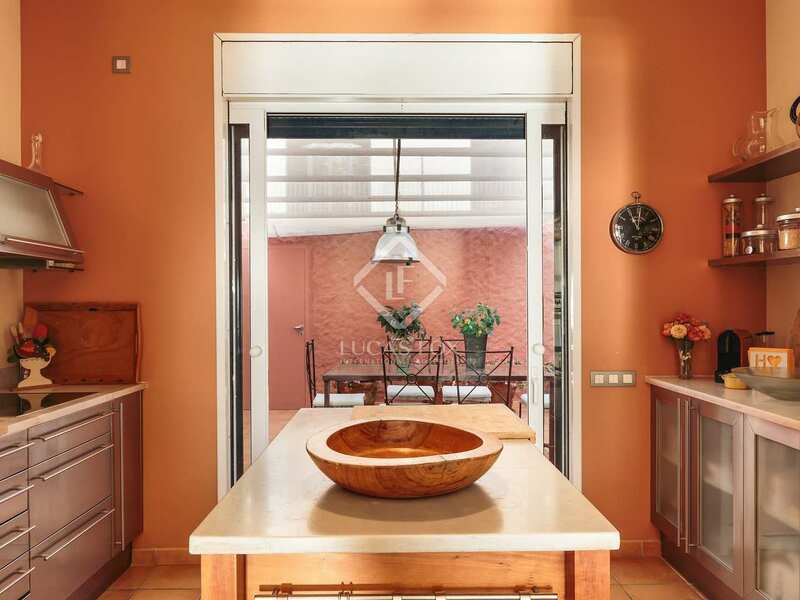 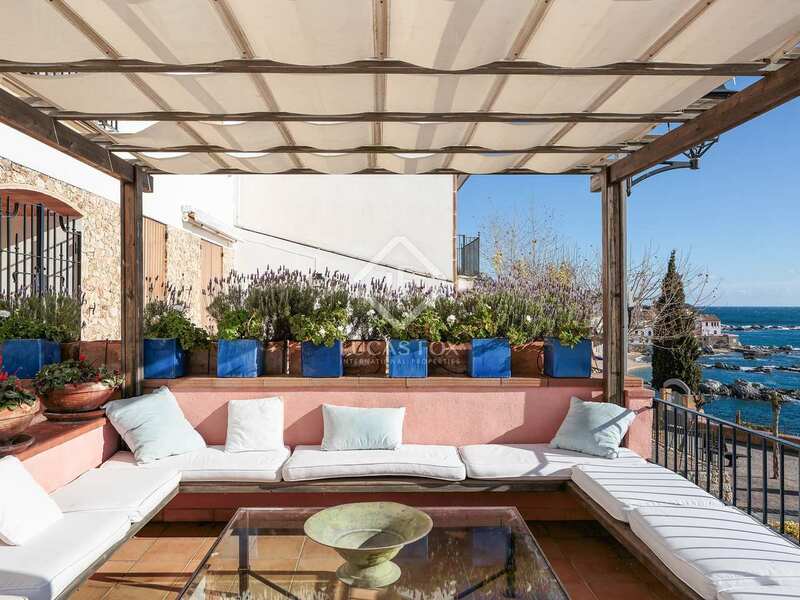 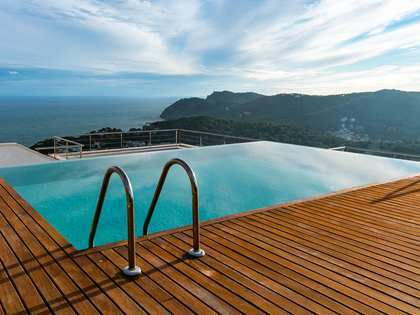 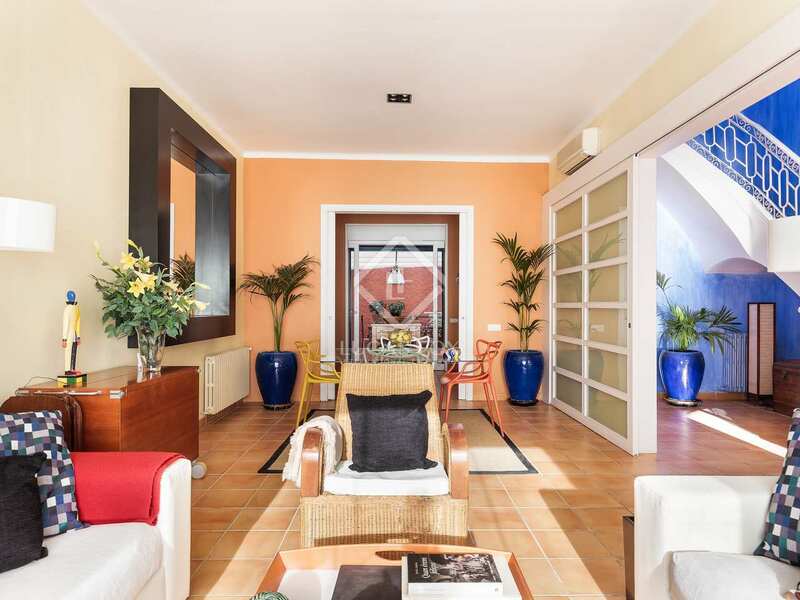 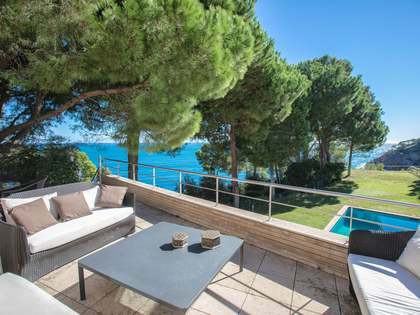 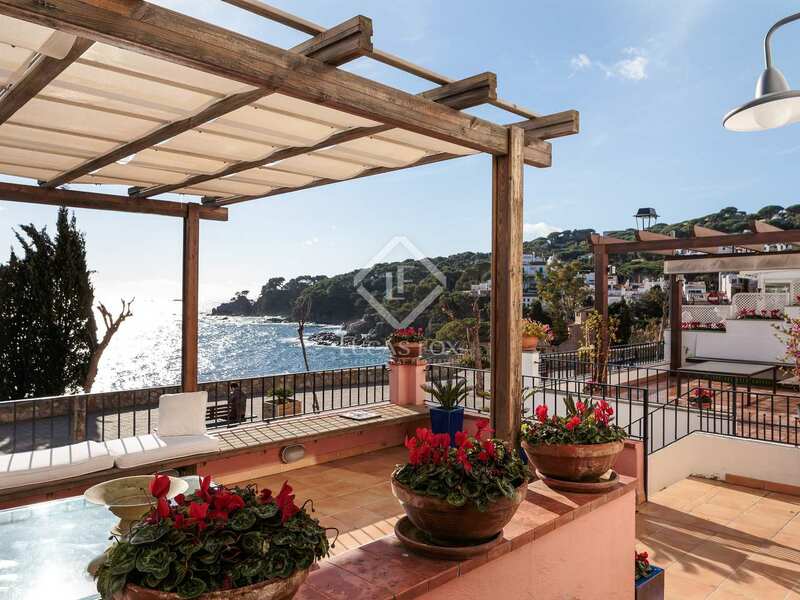 Wonderful first-line property in Port Pellegrí in Calella de Palafrugell. 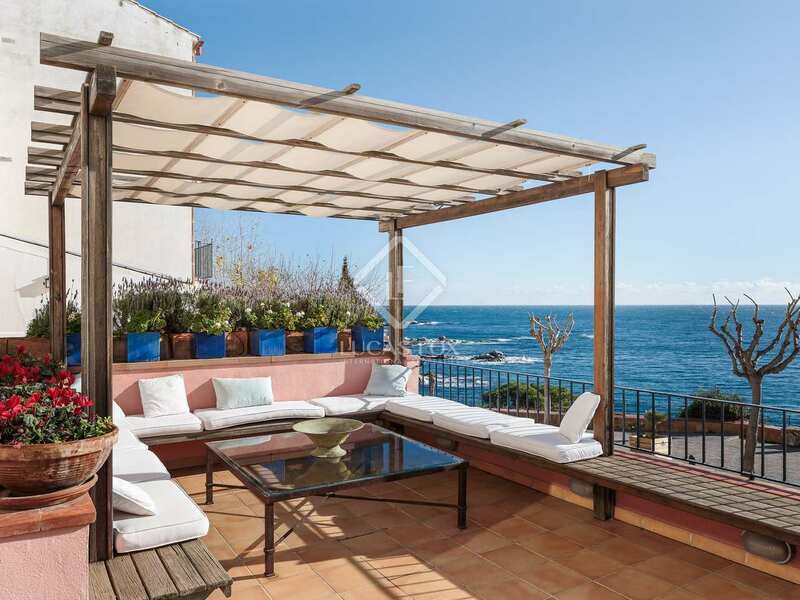 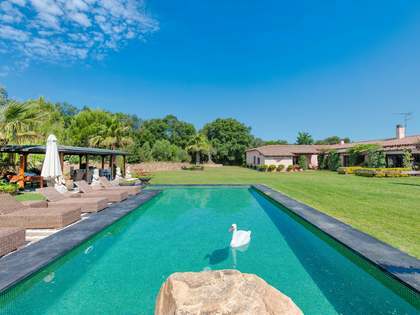 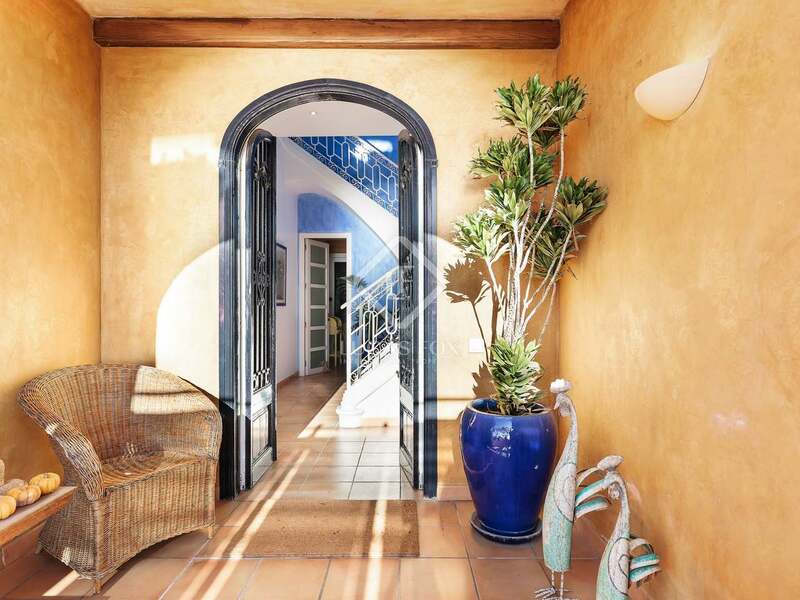 Elegant Mediterranean family house lovingly restored recently and with direct beach access. 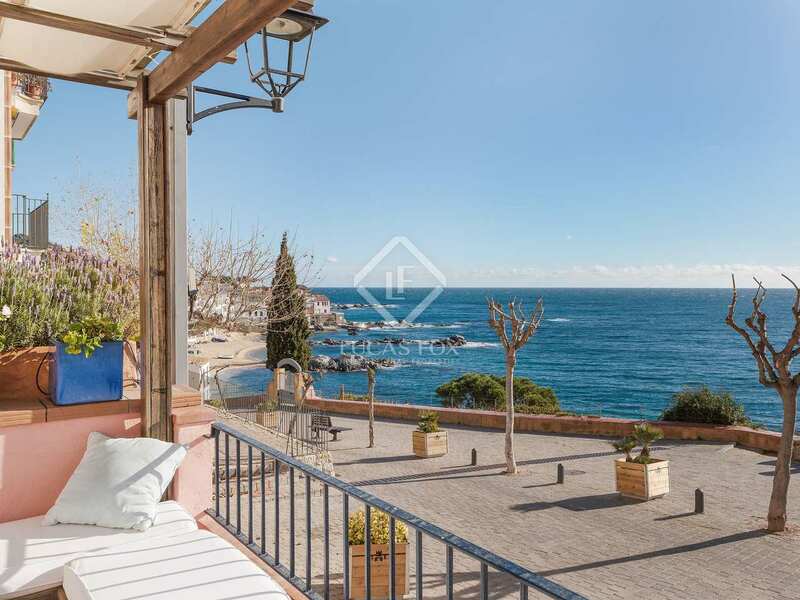 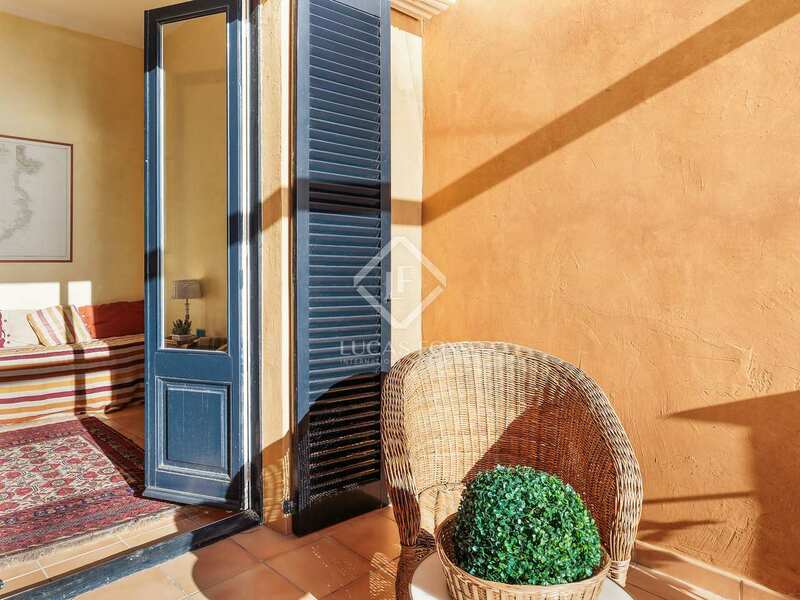 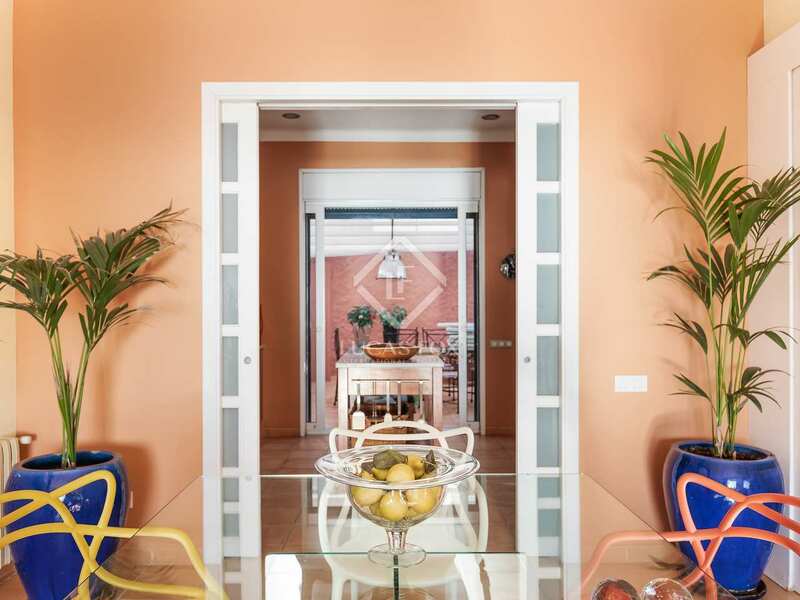 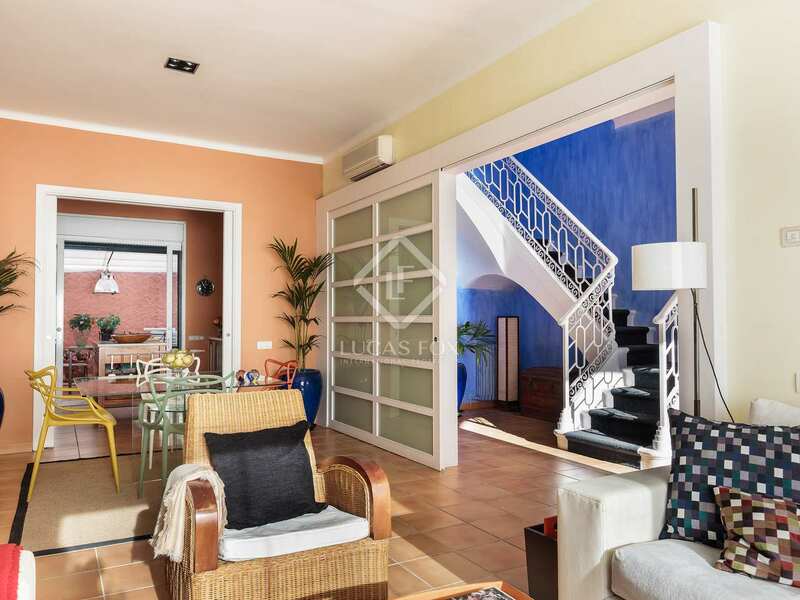 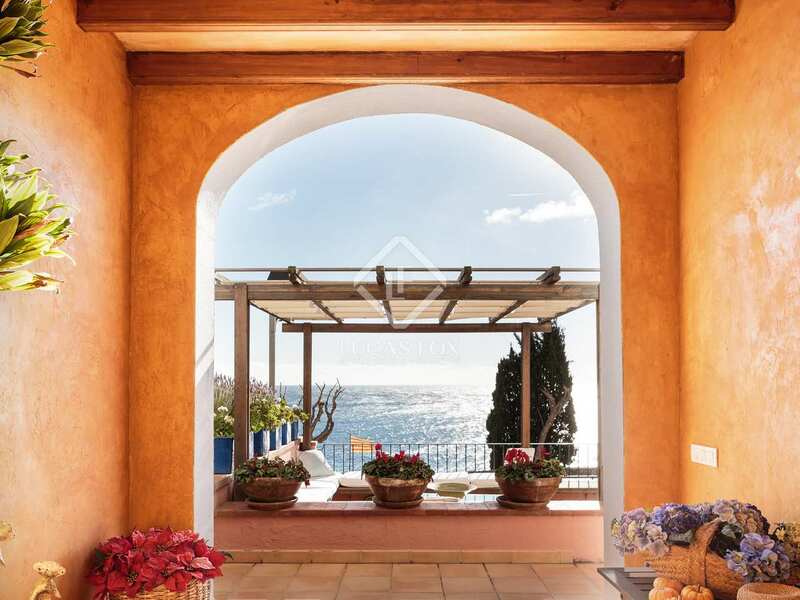 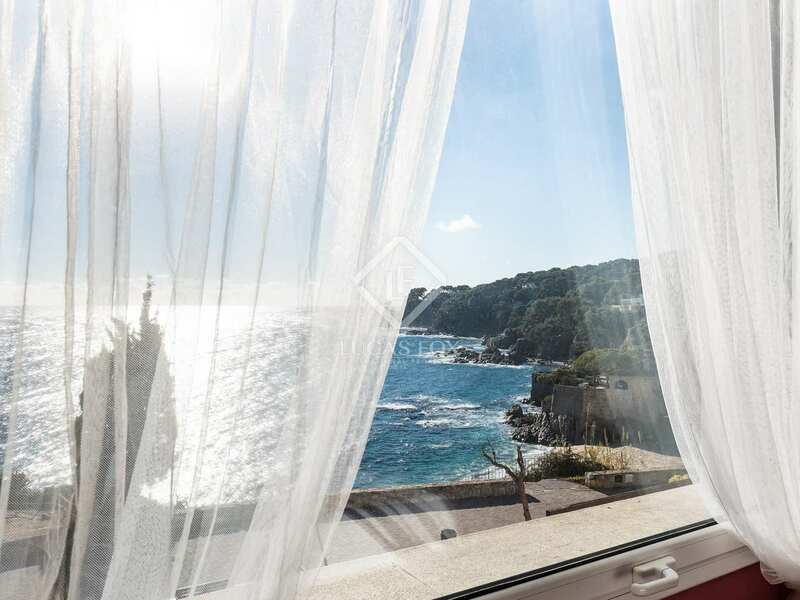 We find this picturesque traditional Mediterranean house on the seafront in Port Pellegrí in Calella de Palafrugell with breathtaking sea views and direct access to the promenade and beaches. 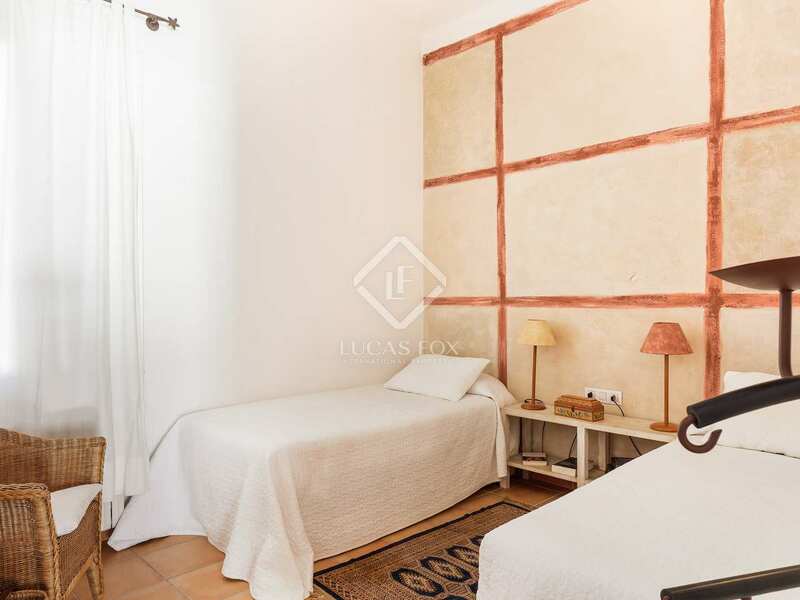 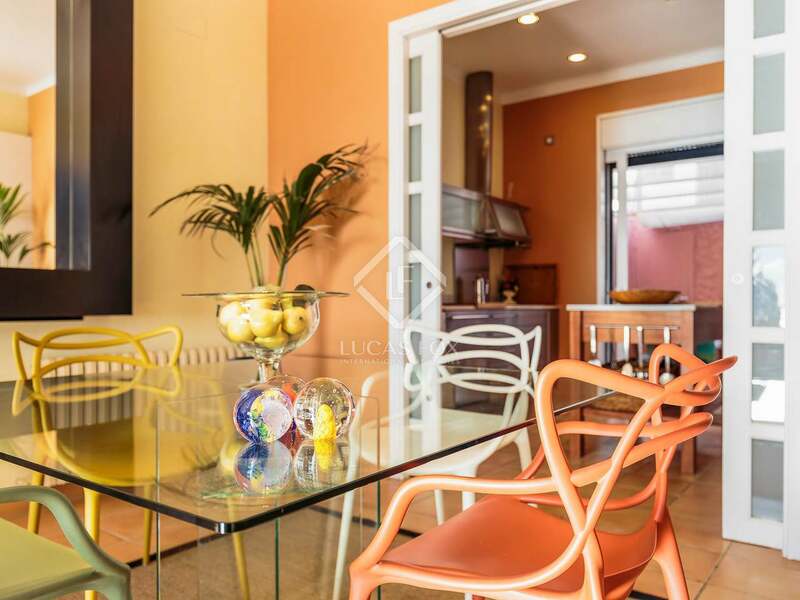 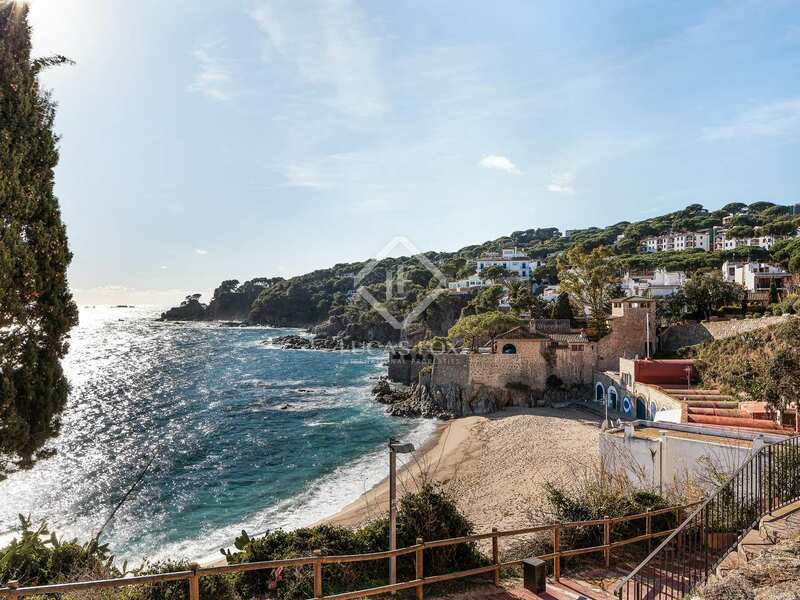 The house is a very short walk away from the many restaurants and shops in Calella de Palafrugell centre. 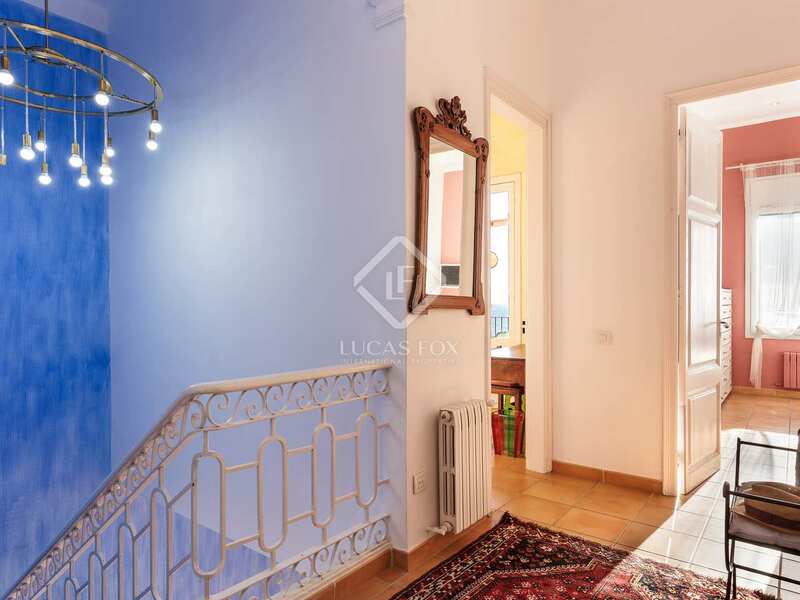 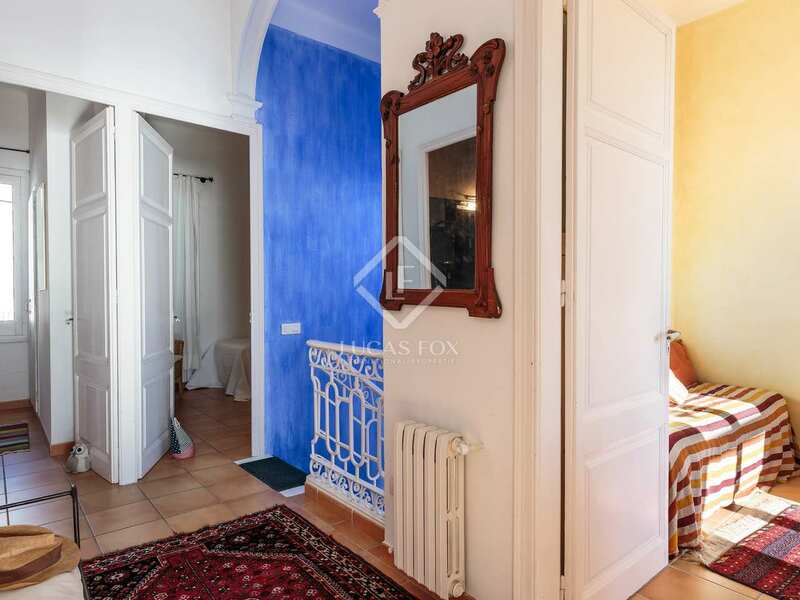 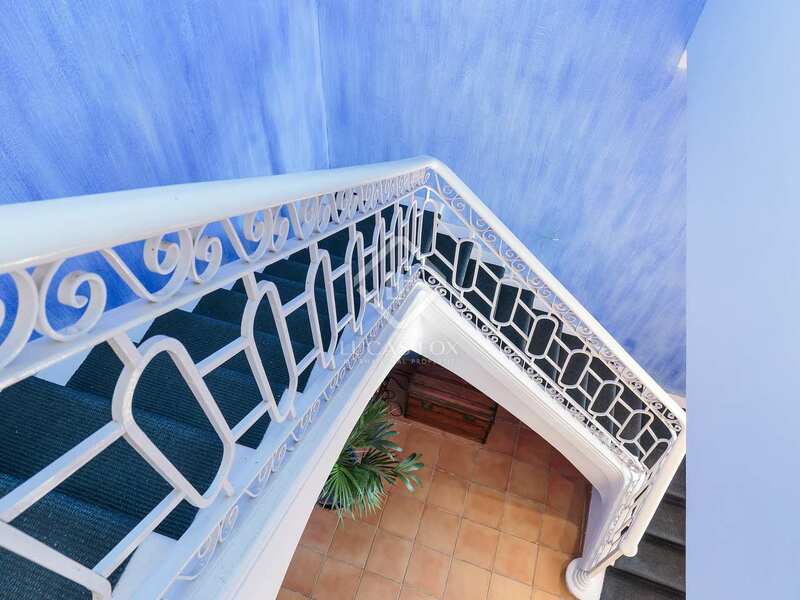 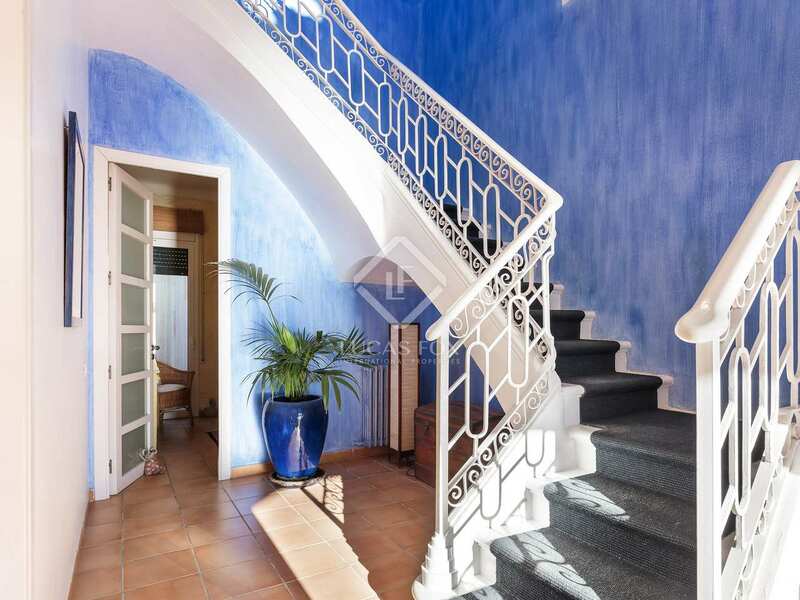 The 209 m² house is in excellent condition as it was painstakingly restored to the highest standards recently, maintaining the high ceilings and beautiful elegant staircase. To the front of the property we find the garage and the front terrace with a shaded seating and dining area with excellent sea views that accommodates up to 12 guests. 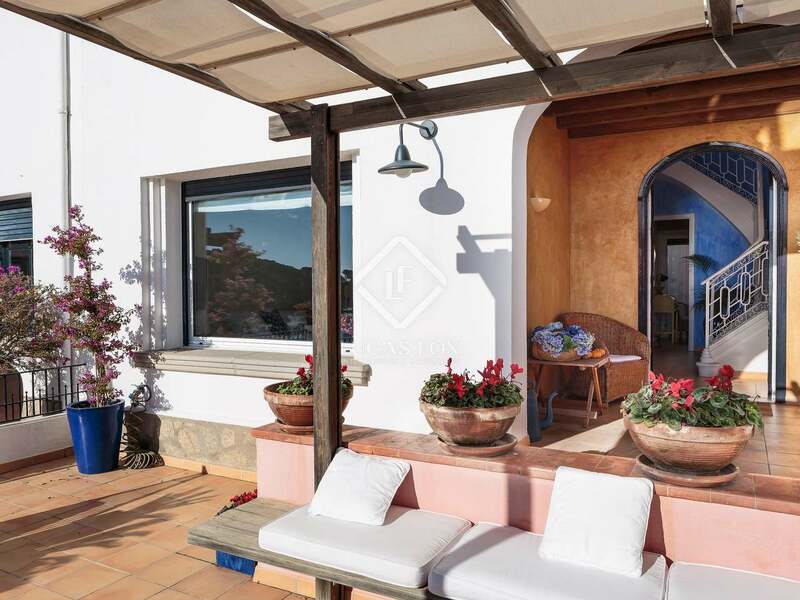 To the rear of the property there is another patio garden which is also covered to provide shade. 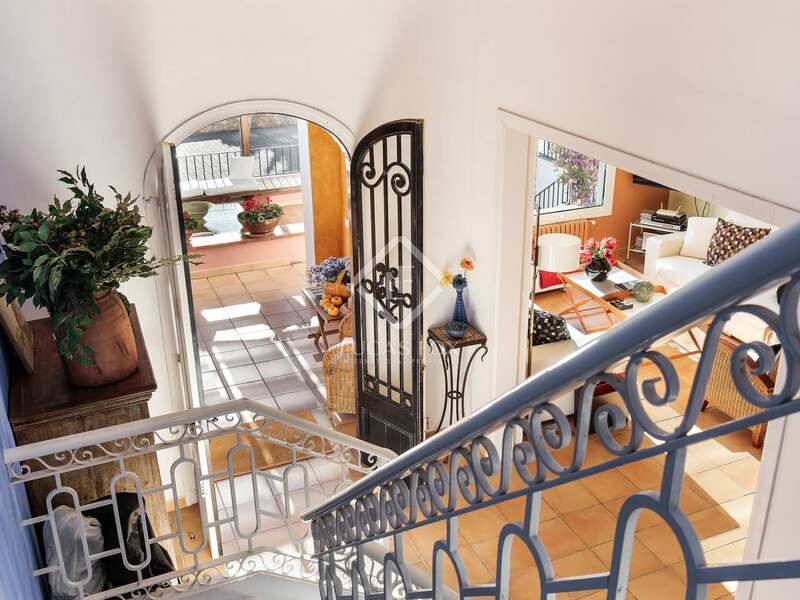 The house is entered through the front door and we find a spacious reception room with impressive sweeping stairs that lead up to the first floor. 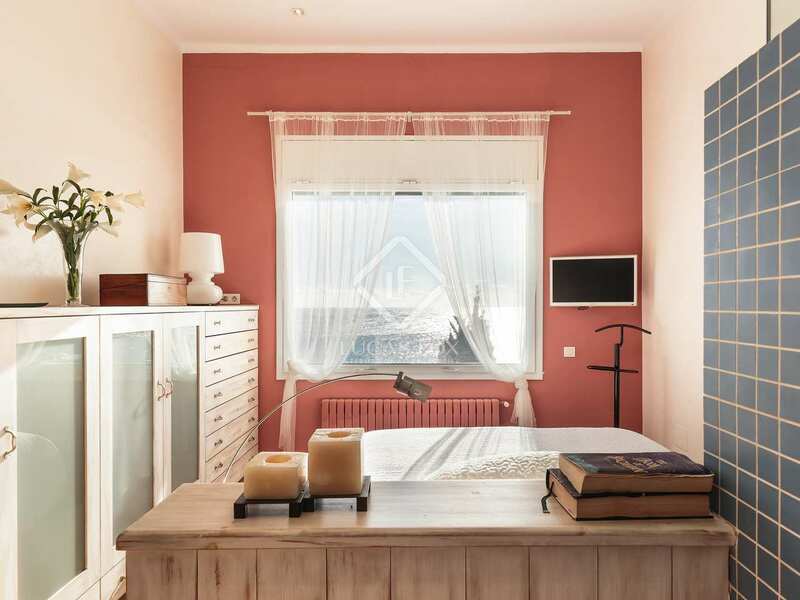 Off the reception room we find the living room with a fireplace and lovely sea views from the window. 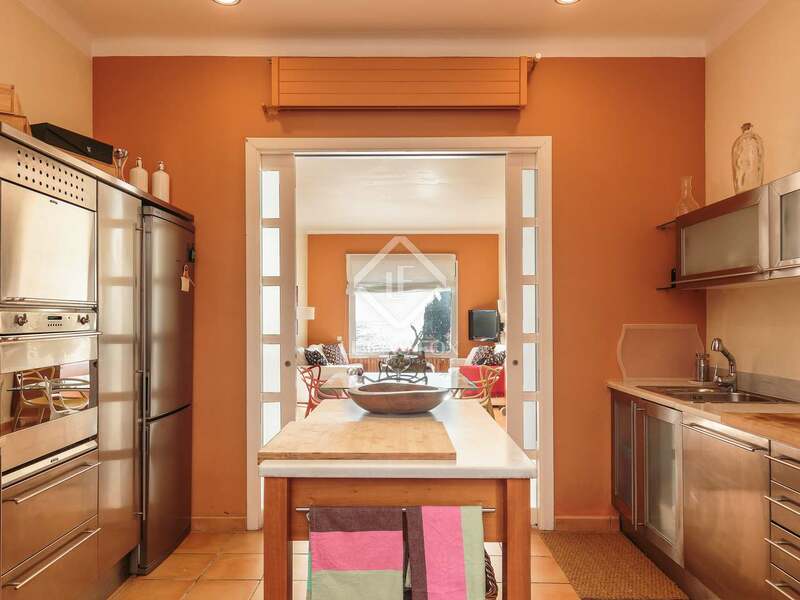 Sliding doors lead off the living room to the modern, fully fitted kitchen which also benefits from the sea views. 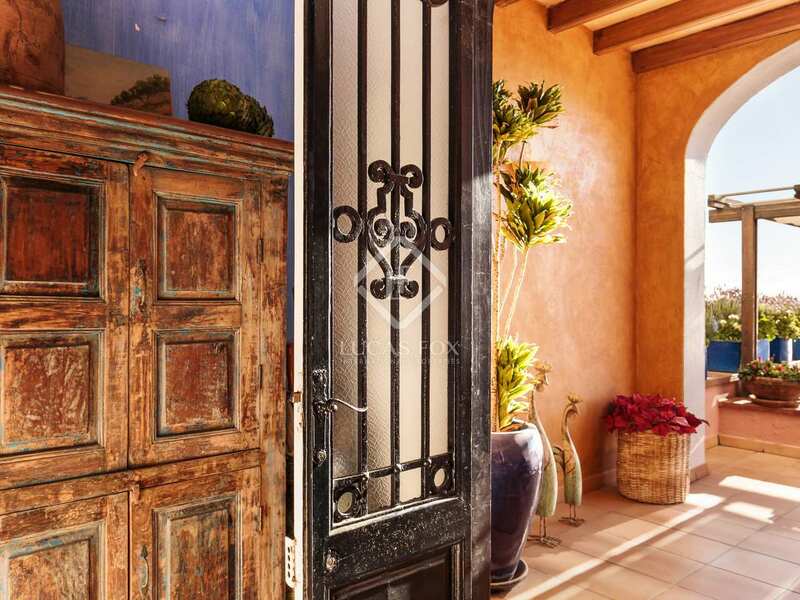 Doors lead to the rear patio of the property where we find an ideal al fresco dining area under a pergola. 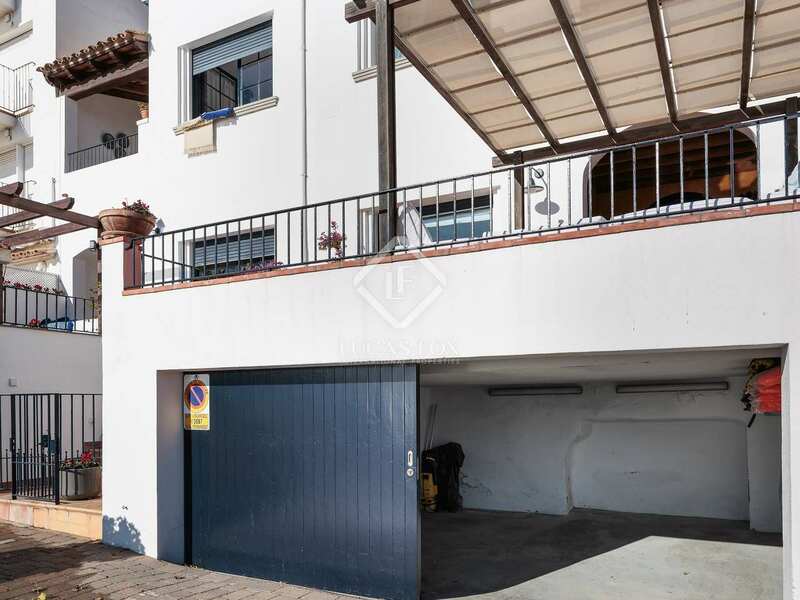 There is also a separate rear entrance to the property from the road here. 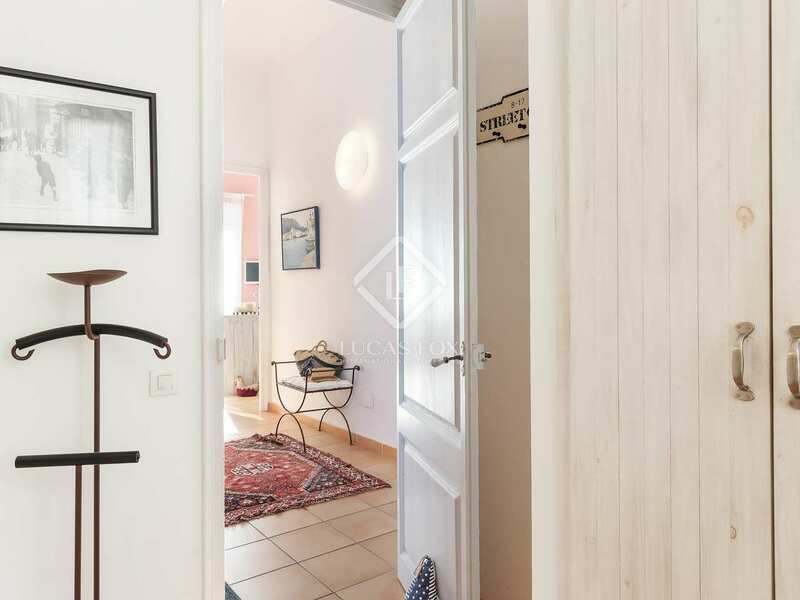 Moving back to the entrance hallway we find a double bedroom with an en-suite bathroom and a door that leads onto the rear patio. 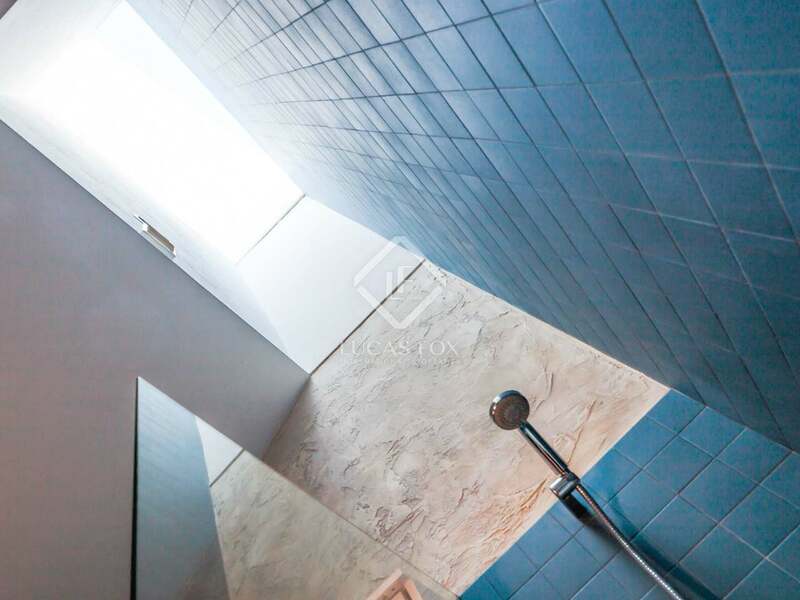 On the upper floor high ceilings give a great feeling of light and space. 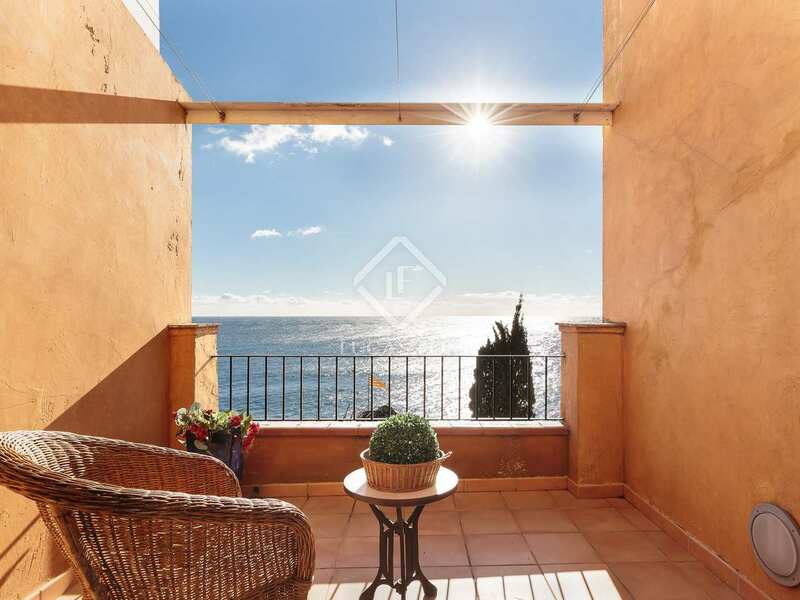 Here we find 4 bedrooms including 1 double with an en-suite bathroom and panoramic sea views, a single bedroom with a private terrace also offering wonderful sea views, 2 double bedrooms and a bathroom. 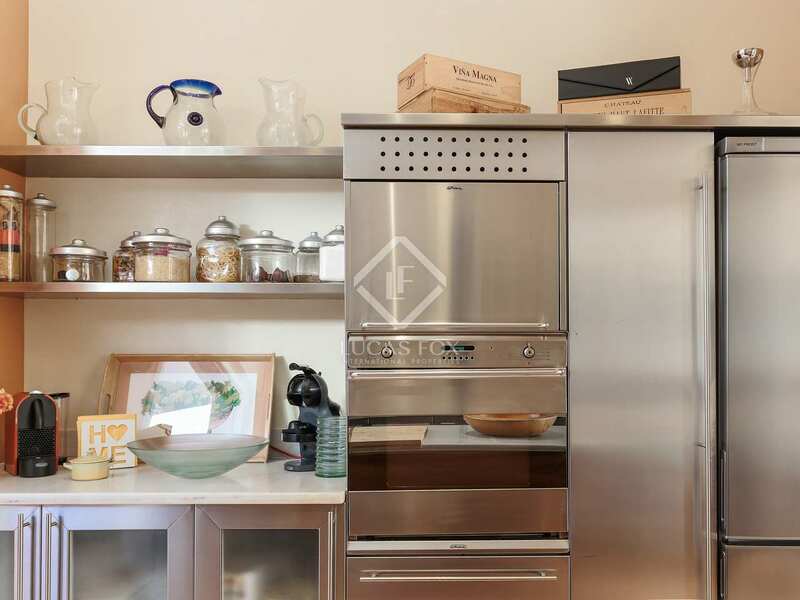 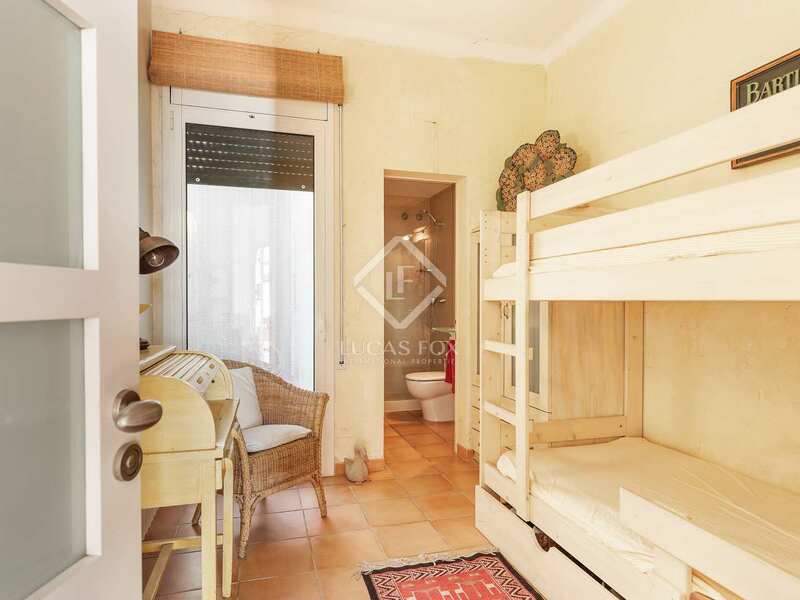 The property benefits from air conditioning, central heating and electric shutters. 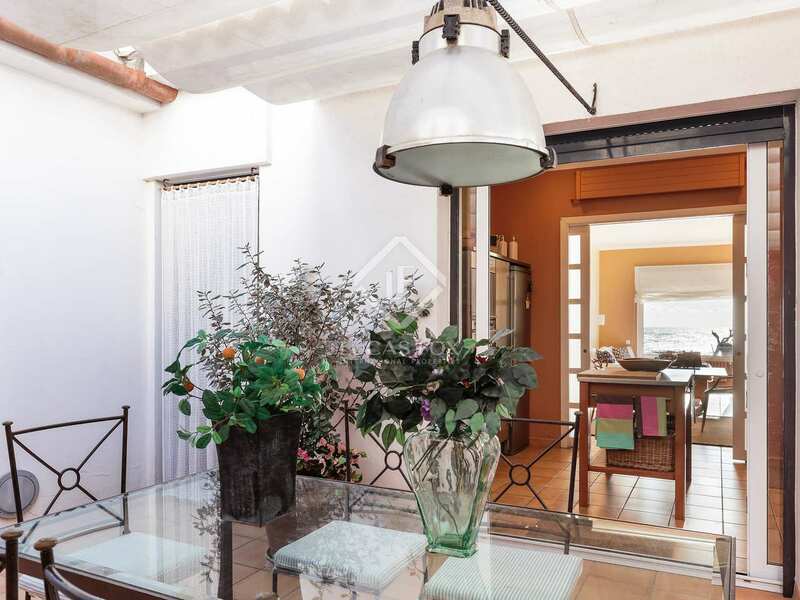 What's more, there is scope to build a second floor above the existing first floor or to extend the first floor over the rear terrace which would give the property five bedrooms four of which would be with ensuite bathrooms. 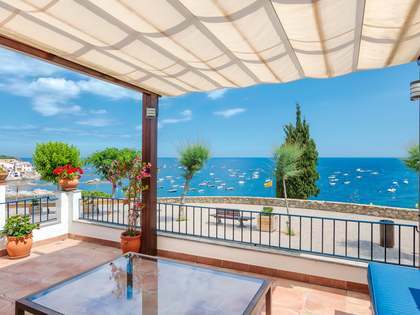 Being in a prime location in a desirable tourist destination, and possessing a tourist licence, seasonal rental yield is very high, making this a great investment opportunity as well as a wonderful coastal home with a unique Mediterranean character. 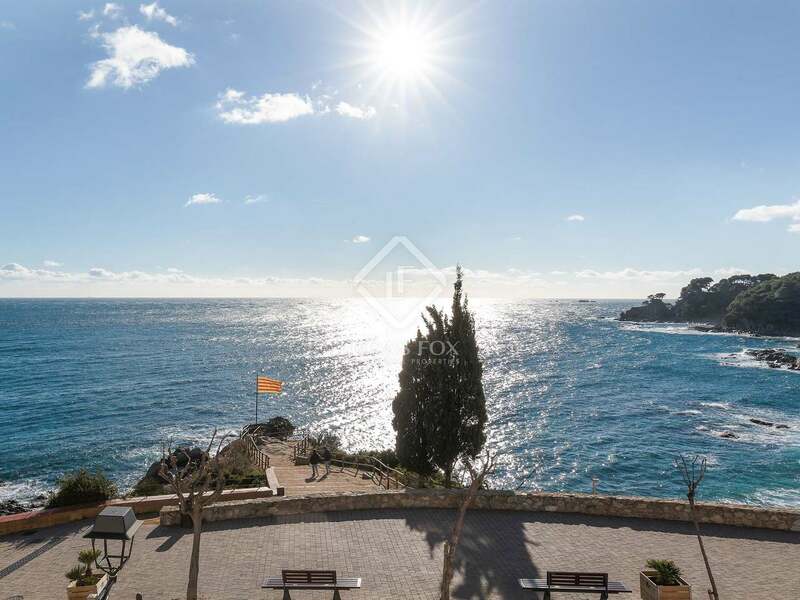 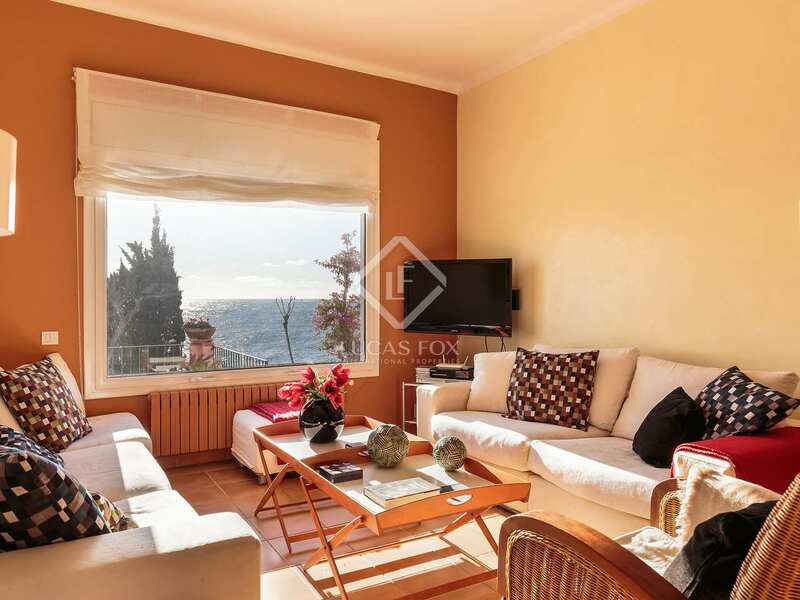 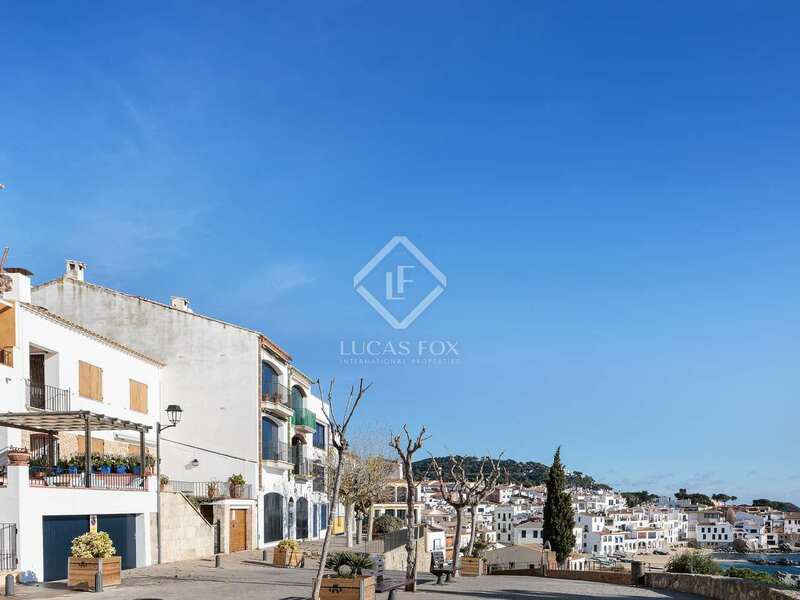 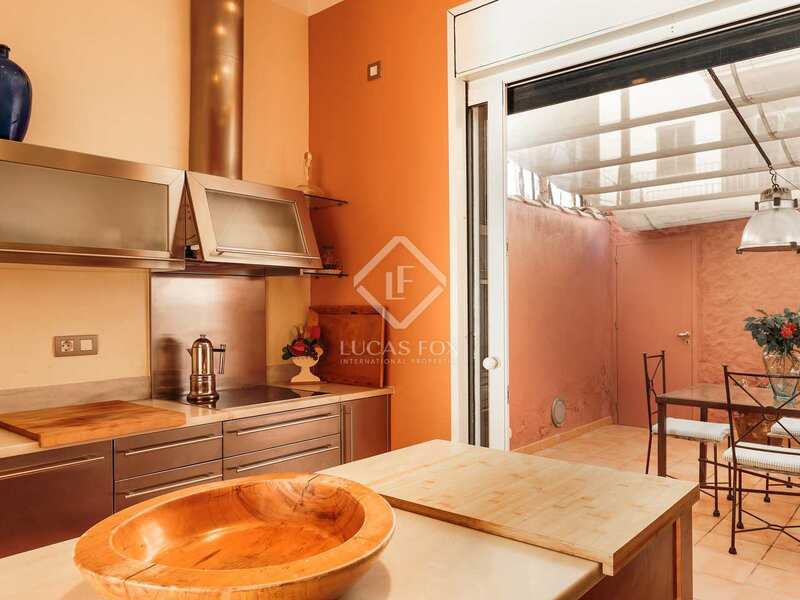 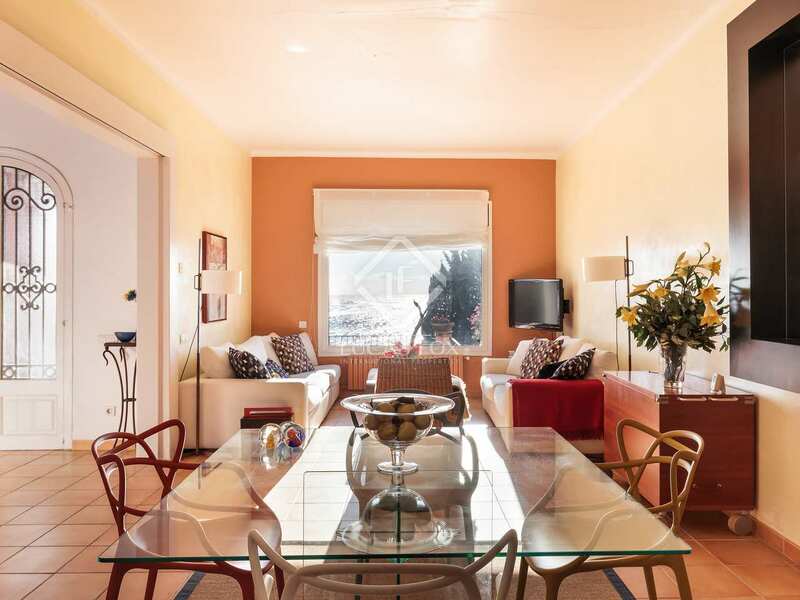 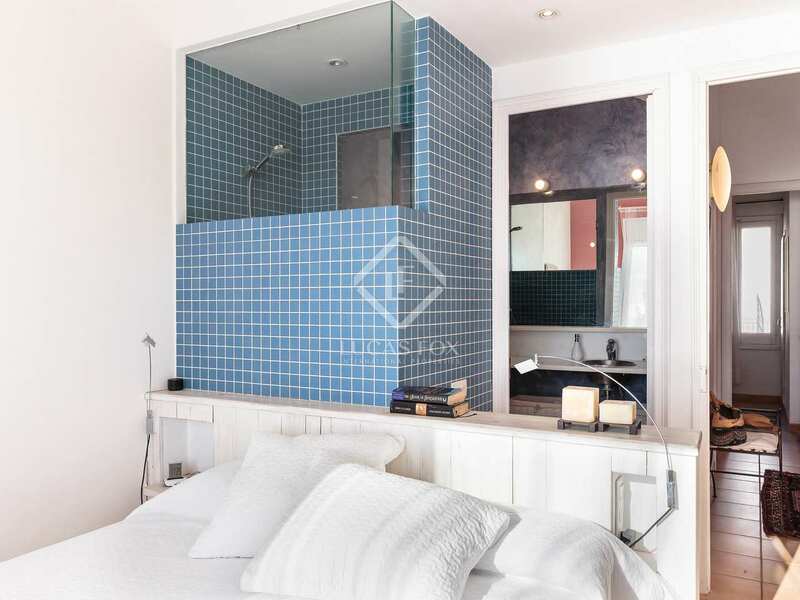 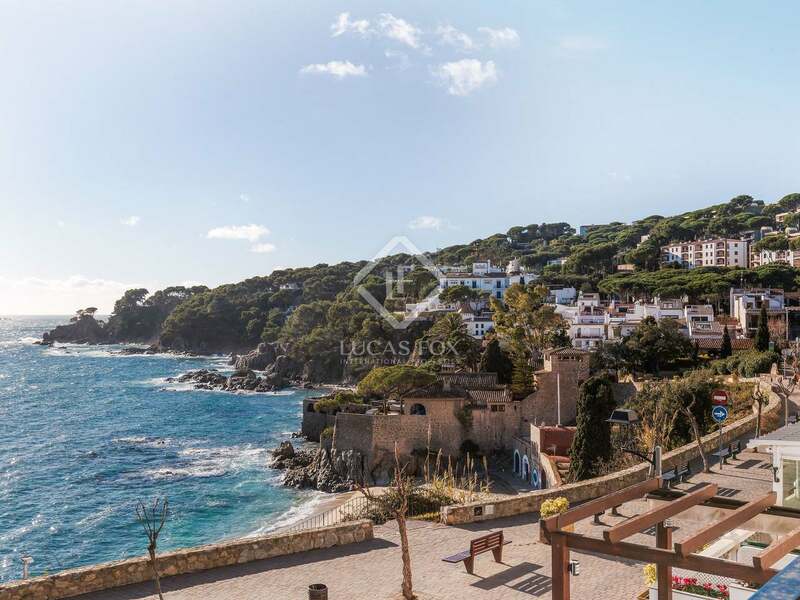 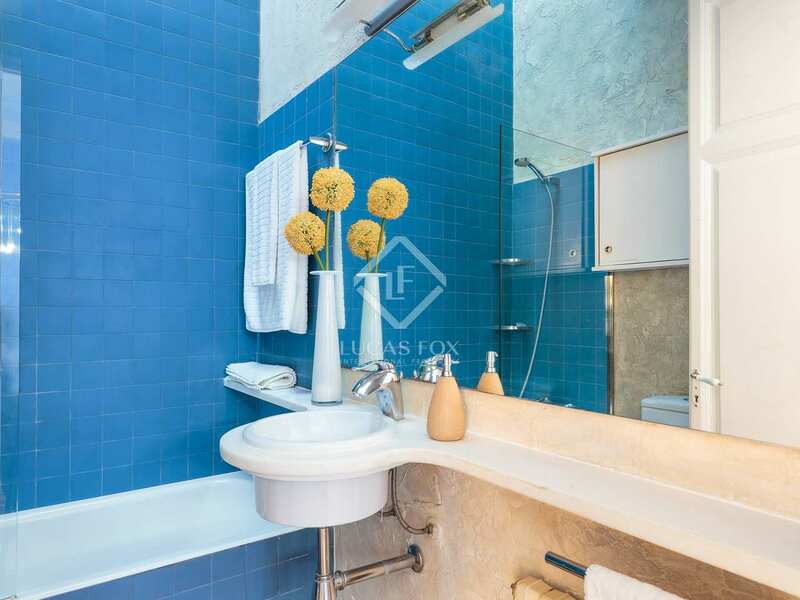 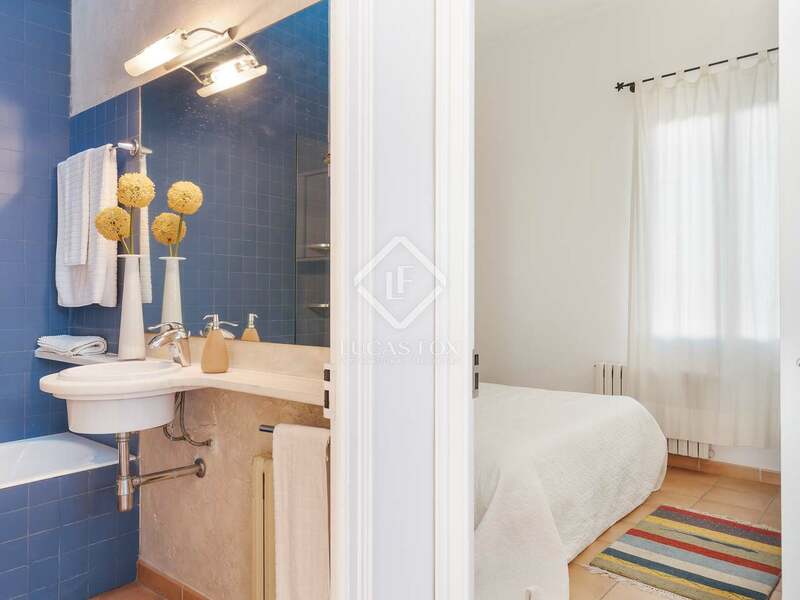 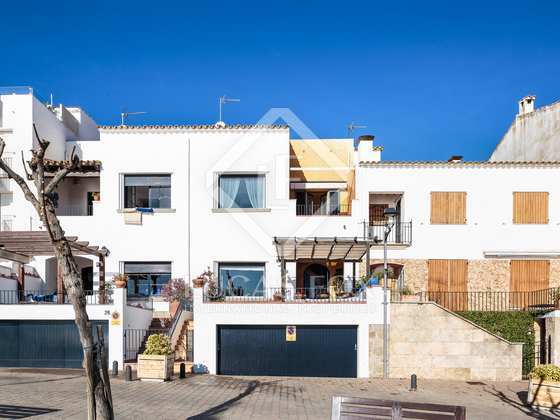 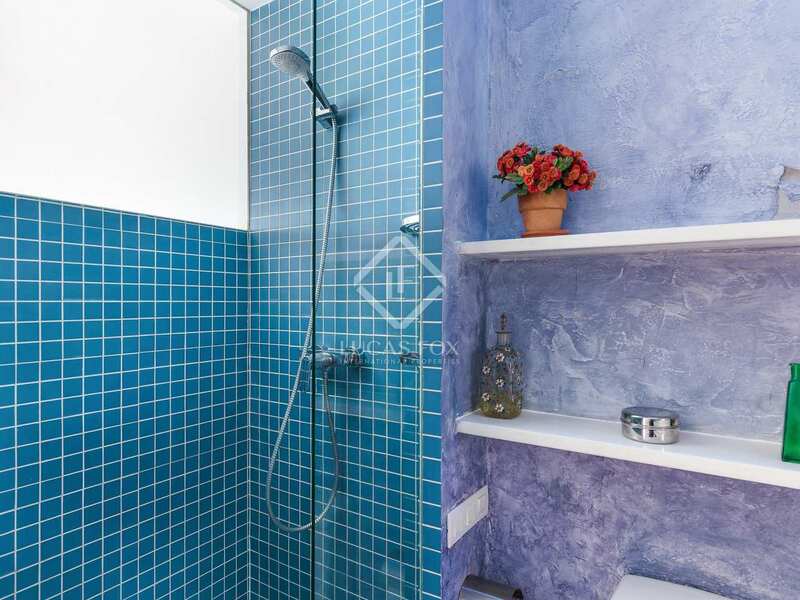 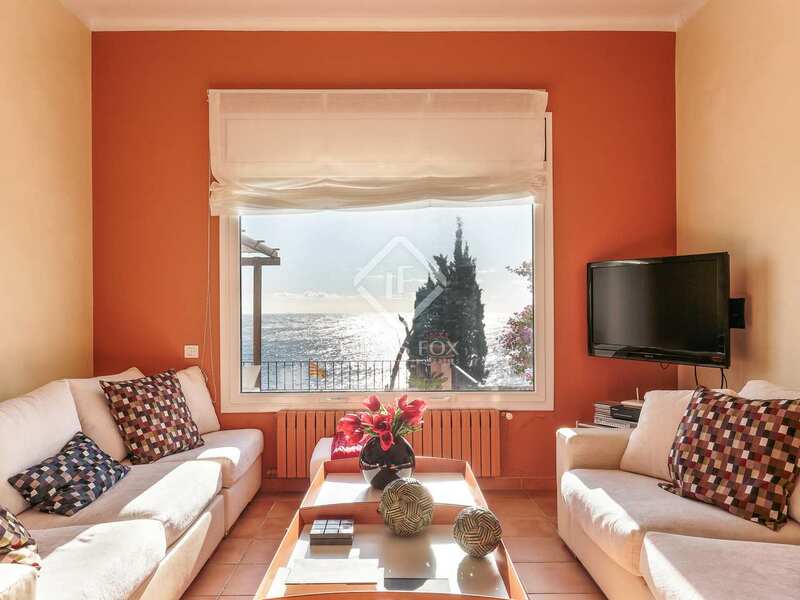 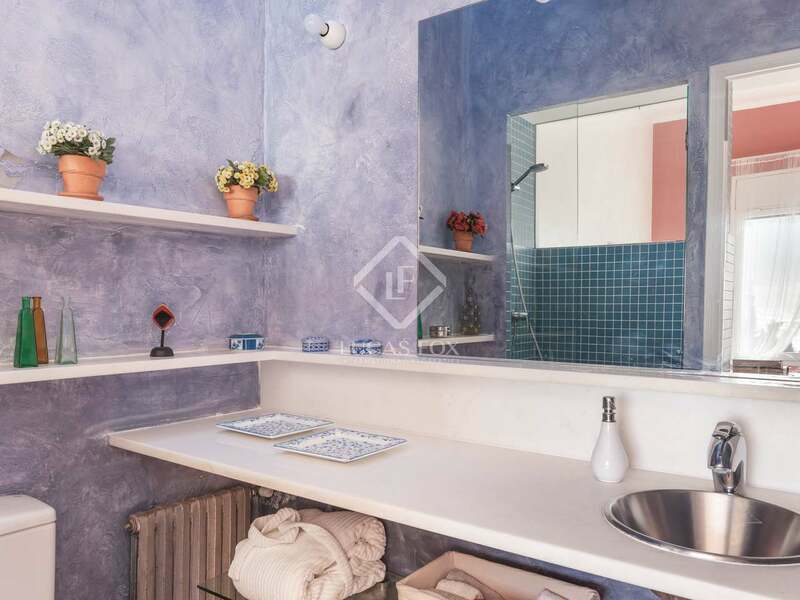 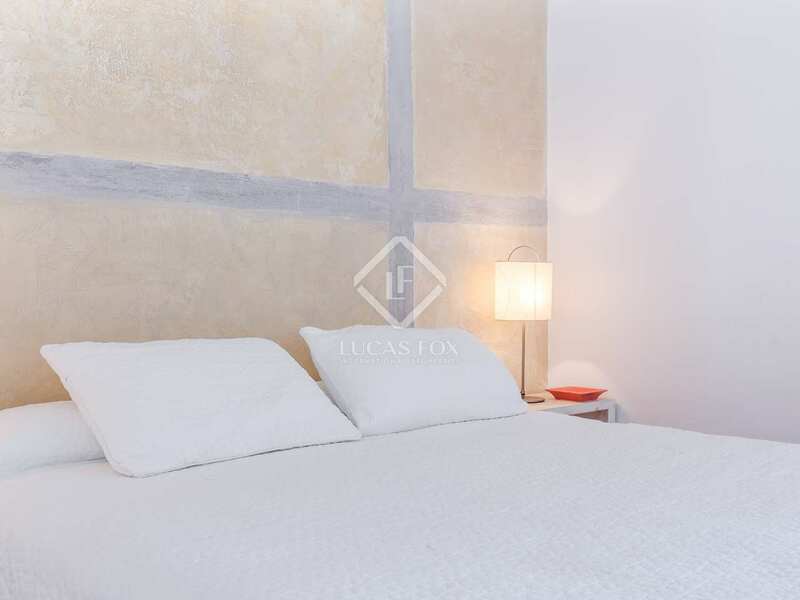 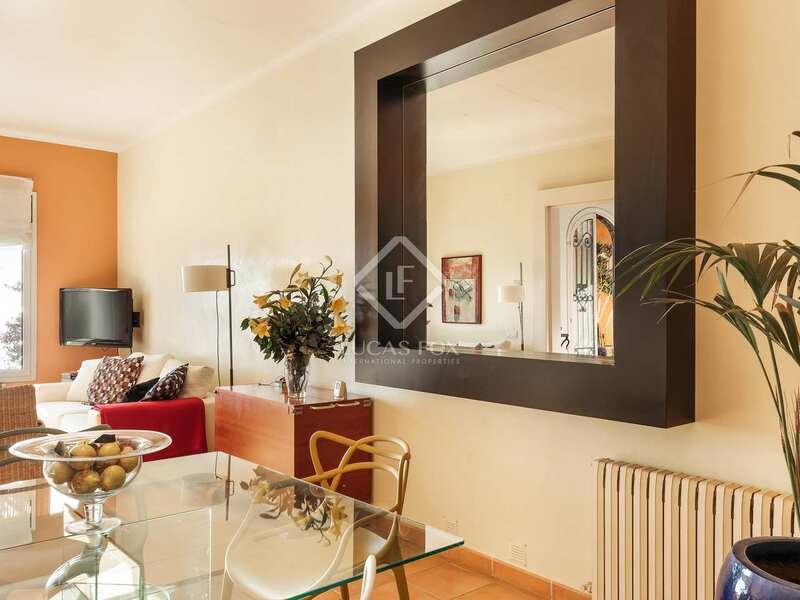 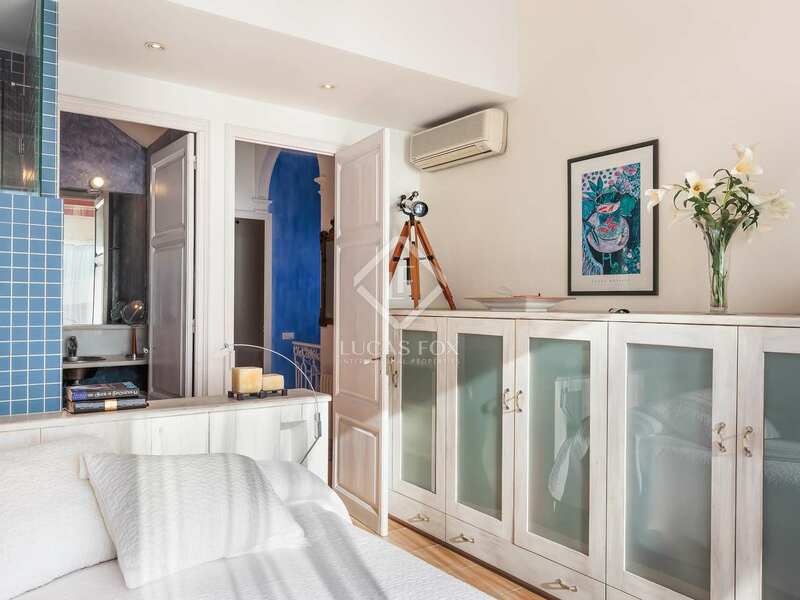 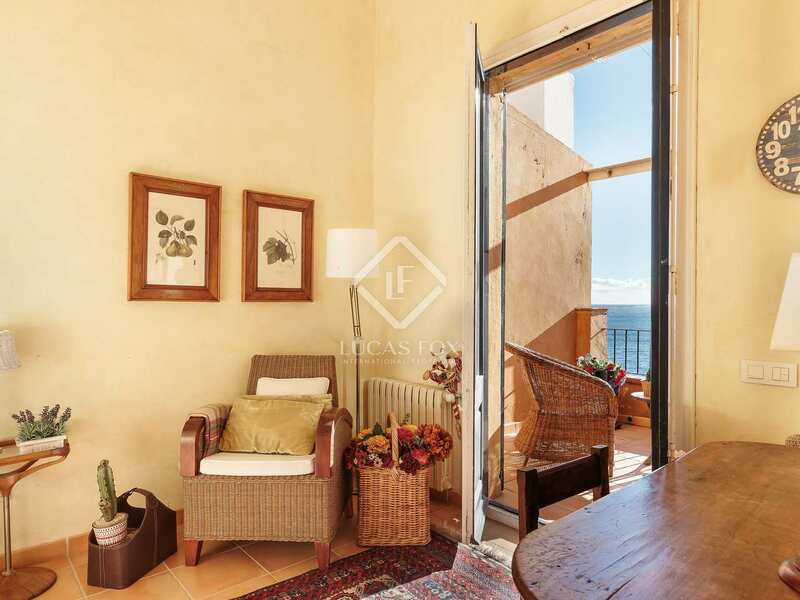 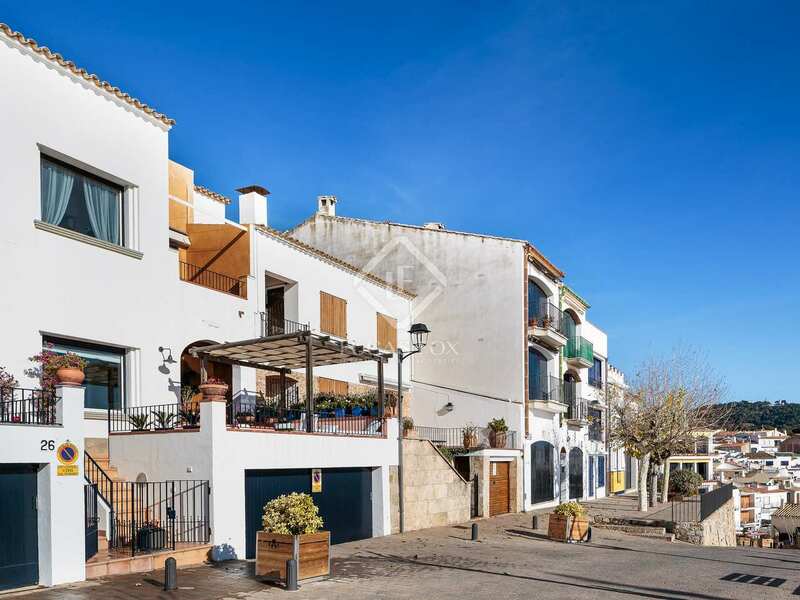 Property located on the seafront in Port Pellegrí in Calella de Palafrugell. 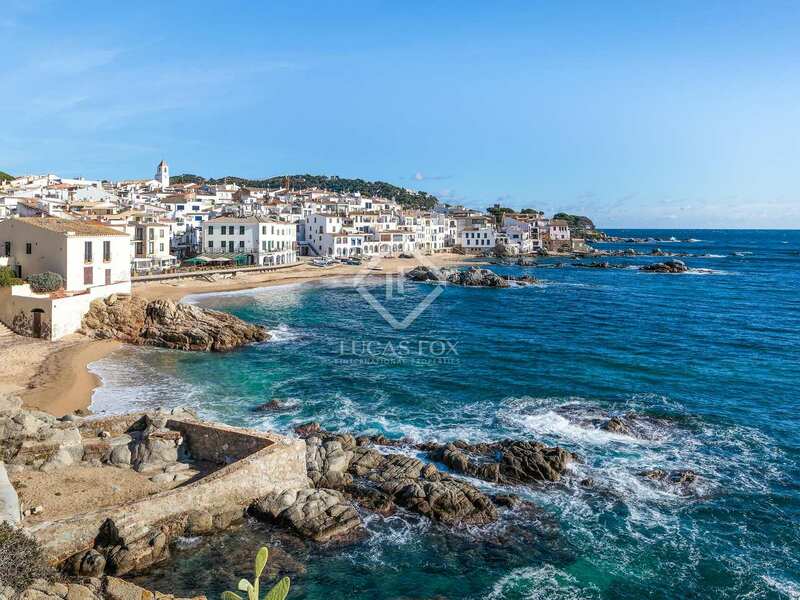 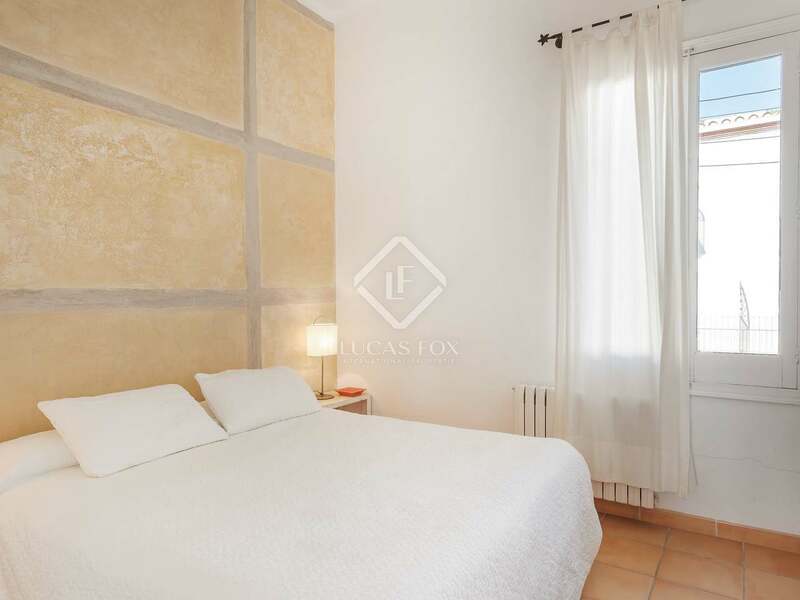 This is a prime area of a desirable tourist destination on the Costa Brava with the beach and town centre on the doorstep.